Enjoy the best inspirational, motivational, positive, funny and famous quotes by Aaron David Bernstein. Use words and picture quotations to push forward and inspire you keep going in life! 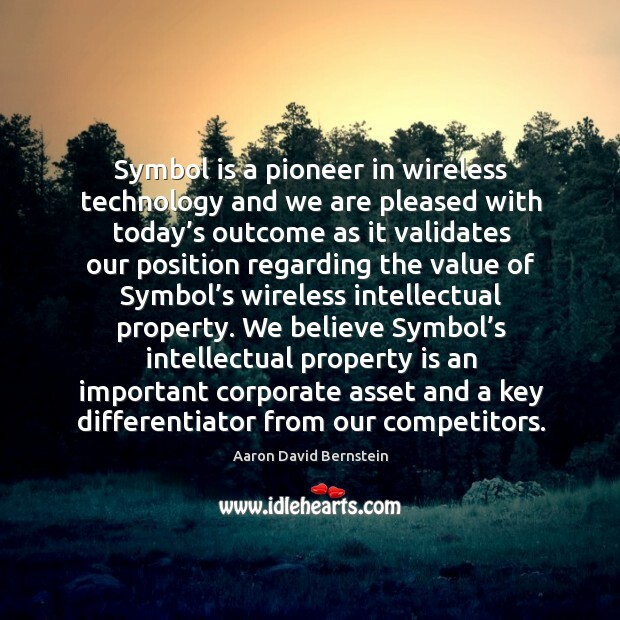 Symbol is a pioneer in wireless technology and we are pleased with today’s outcome as it validates our position regarding the value of Symbol’s wireless intellectual property. We believe Symbol’s intellectual property is an important corporate asset and a key differentiator from our competitors.